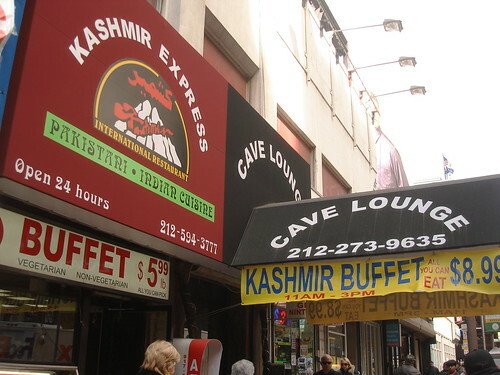 $9 All You Can Eat Indian Buffet Returns to Midtown! Photo of the inside is after the jump. Posted by Zach Brooks at 11:45 am, March 13th, 2009 under Buffet, All You Can Eat, Indian, Kashmir. How about Vegetarian dishes, how many choices of those? Avoid Kashmir at all costs. The food there is wretched! Kinda looks like there’s only 5 different things…. 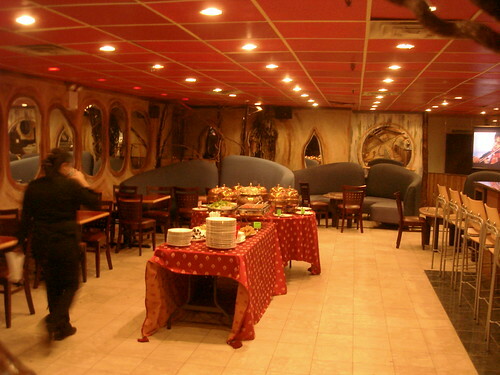 You guys should trek over to 51st and 9th in Hell’s Kitchen to Bombay Express for $9 unlimited Indian buffet. The food is great there. Vegetarian dishes are excellently complimentary but I wouldn’t recommend it as a vegetarian restaurant. Though you can order dishes on the side there too – it’s not just buffet. They have a menu.